Jonathan Pratt was a Midlands artist working in Birmingham. 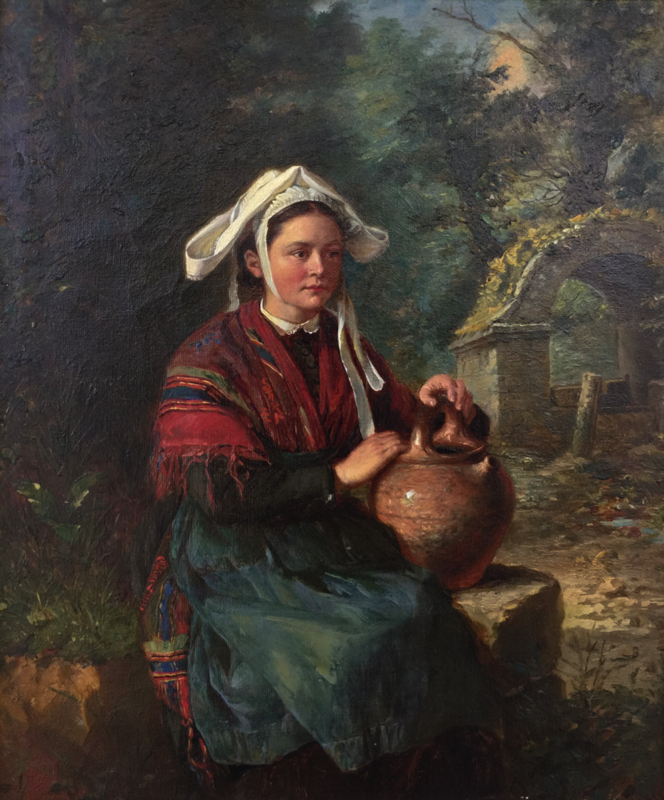 He was an extremely diverse artist painting genre, figure and portraits, as well as street scenes, rural and coastal views in Britain, France and Algiers. He studied in Birmingham and exhibited a total of 279 works there between 1864-1915, the latter being posthumously exhibited. Jonathan Pratt exhibited at the Royal Academy, Royal Society of British Artists, Royal Institute of British Artists, Glasgow Institute of Fine Art and numerous other institutions. Currently the Bristol Museum holds his painting “Departure for the Celebration.” He was made a Member of the Royal Birmingham Society of Artists in 1872, appearing as a figure painter in the local directory between 1868-1899. He was a highly sought after and hugely popular portrait artist of the Victorian era. He is a very well listed artist, being listed in Davenports, Mallet and Art Sales Index just to name a few. His son Claude followed in his fathers footsteps becoming a highly regarded portrait artist in his time.